It’s very disheartening that we would need 7.7-planet earth to provide enough resources if everyone lived like I do. 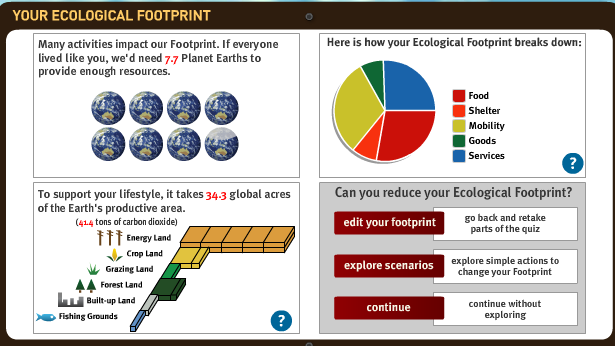 However, I’ve never really thought that my ecological footprint was that large. Aldo Lepalto said, “Land use ethics are still governed wholly by economic self interest” and this couldn’t be truer. The only reason I drive over 300 miles a week is so I can go to work and make money, or go to class to get a degree so I can eventually use that degree to make money. We’re destroying our planet for monetary gain when you look at the big picture. The tale of two farms is comparison between the past and the present. Huls farm family enterprise composed of 5 siblings and spouses. Gardar farm is a manor farm of Norse Bishop in Greenland, abandoned for 500 years and was once prosperous. Both located in beautiful cold locations and were state of the art barns and the owners were important in their district. Weaknesses were caused by location because weather limited farming (cold winters, short summers) Susceptible to climate change and had to travel far to sell their products. The Gardar farm collapsed but the Huls farm is still operating. Our past can tell us a lot about our future. With our knowledge and technology we can be better by anticipating mistakes. I should, along with everyone else, start to anticipate the impact of our daily mistakes that are hurting the environment and using all our resources too quickly and too selfishly. “Managing environmental resources sustainably has always been difficult ever since Homo sapiens developed modern inventiveness, efficient, and hunting skills by around 50,000 years ago.” (page 25 Colloquium Reader) This is very true, it’s not an easy task to manage environmental resources and it will never be easy. 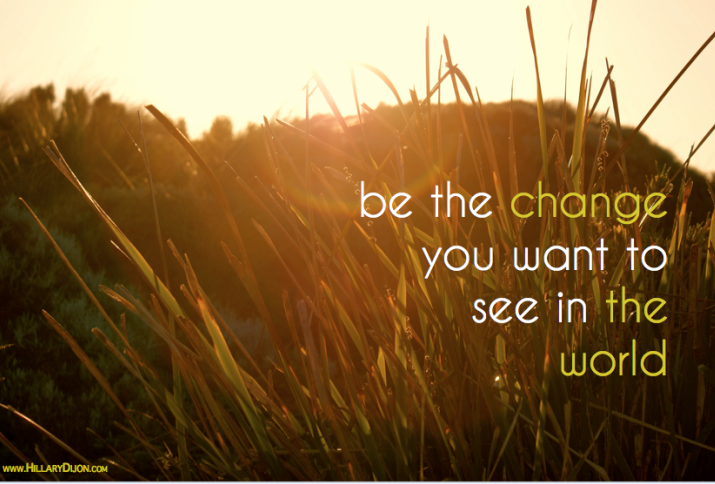 We’re used to a certain way of life and making big changes will take time and dedication. 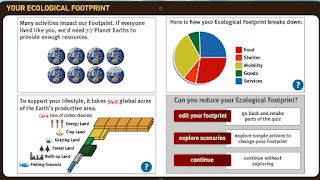 My footprint showed me that it would take 34.3 global acres of the earths productive area to support my lifestyle. That statistic makes me feel selfish and greedy. I feel like I’m using the earth’s resources like they’re going out of style. It’s not okay to use the earth the way I have been using it. There are two areas in my life that I could make a change. I eat meat every single day, no matter what, and I could definitely cut down my meat in take from 7 days a week to 4 or 5 days a week. I have an iron deficiency so craving meat is a regular thing for me. I could find other ways to supply my body with the iron it needs. Like any drastic change this will be hard for me. Another way I could make a lifestyle change is to decrease my driving. I drive 42 miles to work every day and 42 miles home from work everyday. That’s a guaranteed 84 miles. I could find a co-worker that would want to carpool so that we can save money on gas and save the environment by driving one less car. Although I don’t have the choice to stop driving completely I could start walking to places that are close to my house, like the grocery store or the gas station if I need something instead of driving. Like the second group said, “Biodiversity is the web of life”. I’m a part of that biodiversity and it’s important for me to start realizing that. If I’m harmful to the biodiversity on this planet then I’m part of the problem. I want my children and my children’s future children to be able to experience the planet the way I have, but even better. I want them to be able to see all the animals I’ve seen and smell all the flowers I’ve smelled. My selfishness during my time here on this beautiful planet could potentially steal that opportunity from them. The presentations today we’re a good wake up call. However, the quiz I just took about my ecological footprint was an even bigger eye opener. Trust me, I’m going to try to reduce my ecological footprint. I don’t want to be the reason that the earth is dying. I want to be the reason why earth thrives. Future generations deserve to know what a beautiful planet this IS, not what is WAS.